From solar cells for power generation to microprocessors and laser pointers, semiconductor materials are a key ingredient in modern technology. However, the color of light that gets absorbed or emitted by these materials is usually fixed, placing limitations on their functionality. Now researchers in the group of Prof. Jeremy Munday (ECE/IREAP), in collaboration with the groups of Prof. Marina Leite (MSE/IREAP) and Prof. Edo Waks (ECE/IREAP/JQI), have found a way to circumvent this limitation through the use of controlled photon recycling, i.e. the process by which emitted photons are redirected back into the semiconductor to affect its electrical response. Using this effect, the authors demonstrate tunable diodes, improved solar cells, and actively controlled, gate-free current modulators. This work, entitled “Active control of photon recycling for tunable optoelectronic materials”, is featured as the cover article of Advanced Optical Materials for April 5, 2018. Yunlu Xu, Elizabeth M. Tennyson, Jehyung Kim, Sabyasachi Barik, Joseph Murray, Edo Waks, Marina S. Leite, and Jeremy Munday. "Active control of photon recycling for tunable optoelectronic materials." 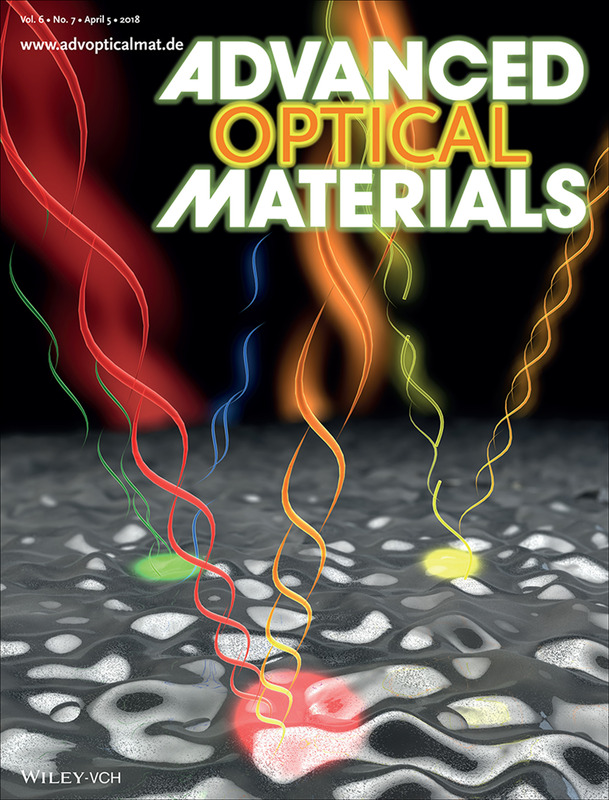 Advanced Optical Materials, published online January 25, 2018.